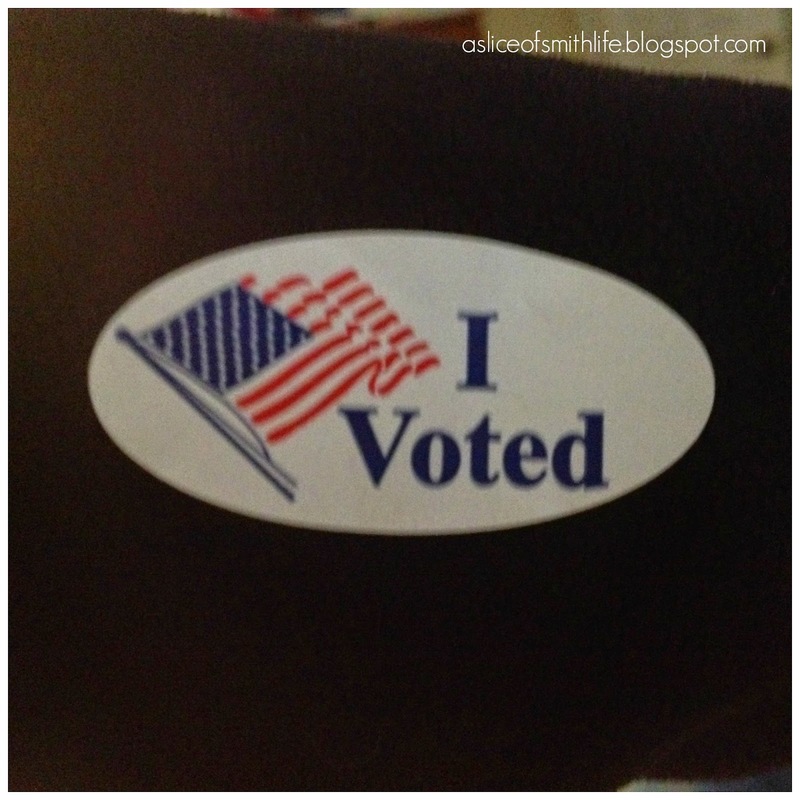 For this week's 7 Quick Takes hosted by Jennifer at Conversion Diary, I'm combining the Friday's Quick Takes with things I'm thankful for since each Thursday in November is themed "Thankful Thursdays", which is hosted by Tammy at Creative K Kids. 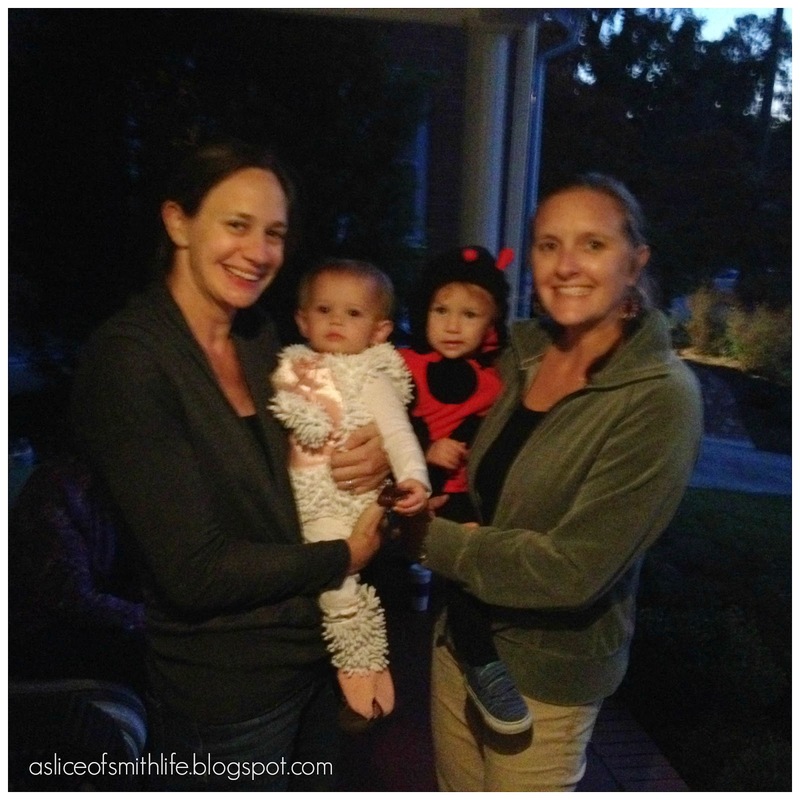 I'm also linking up to Lisa's "My Week in Review" at Home to 4 Kiddos. 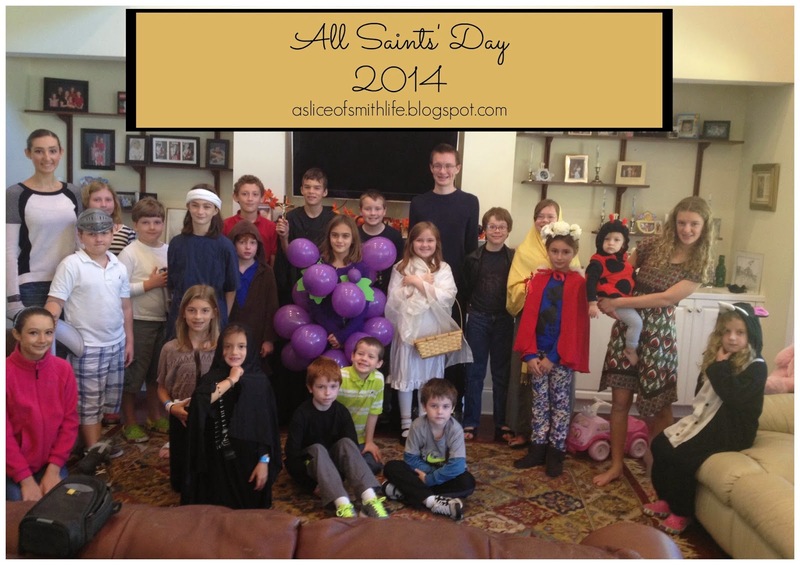 I am thankful for All Saints' Day that we celebrate each year on Nov. 1 with our Catholic homeschool group. 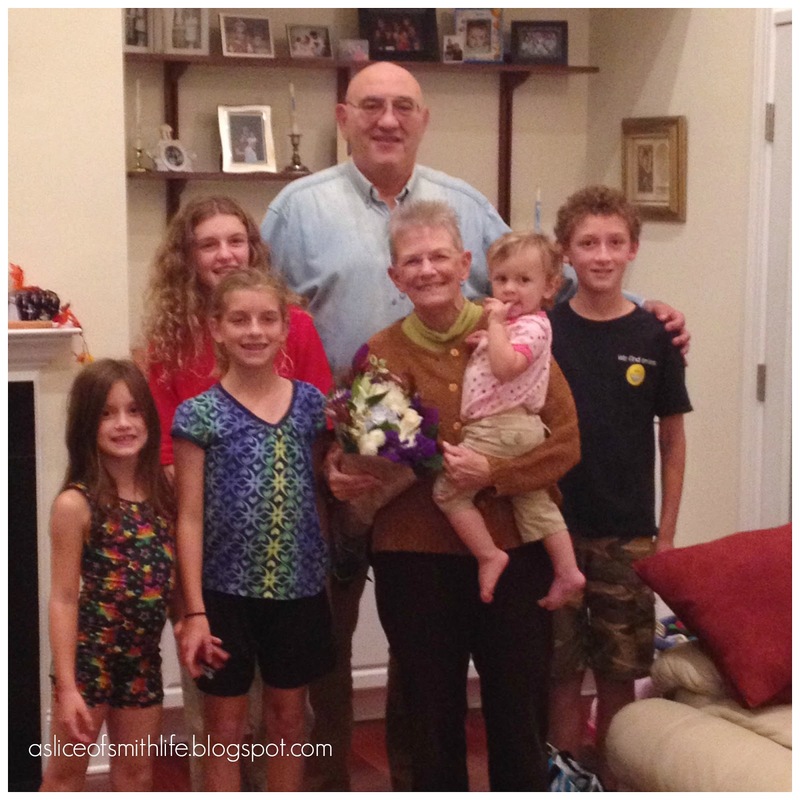 Last week we got together to celebrate such a special day in the liturgical calendar. 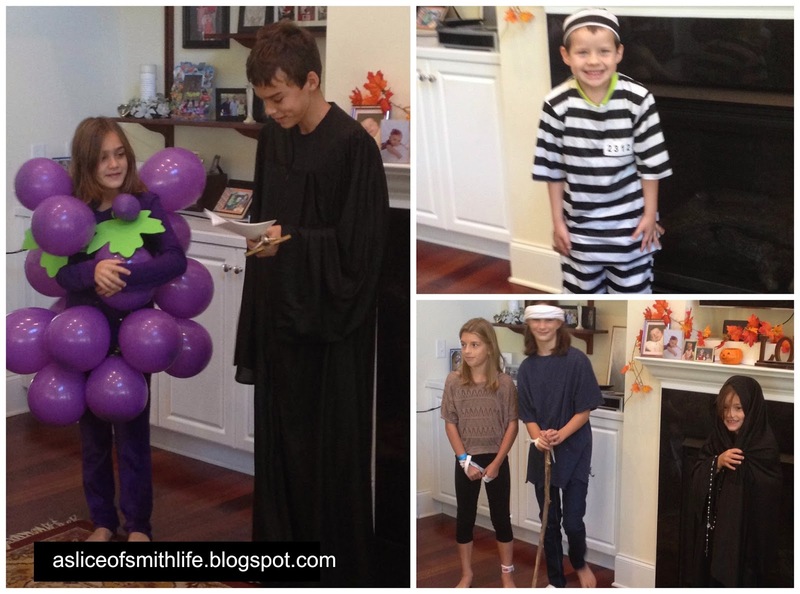 This year we had to celebrate All Saints' Day in the morning on October 31st and our family hosted the party. 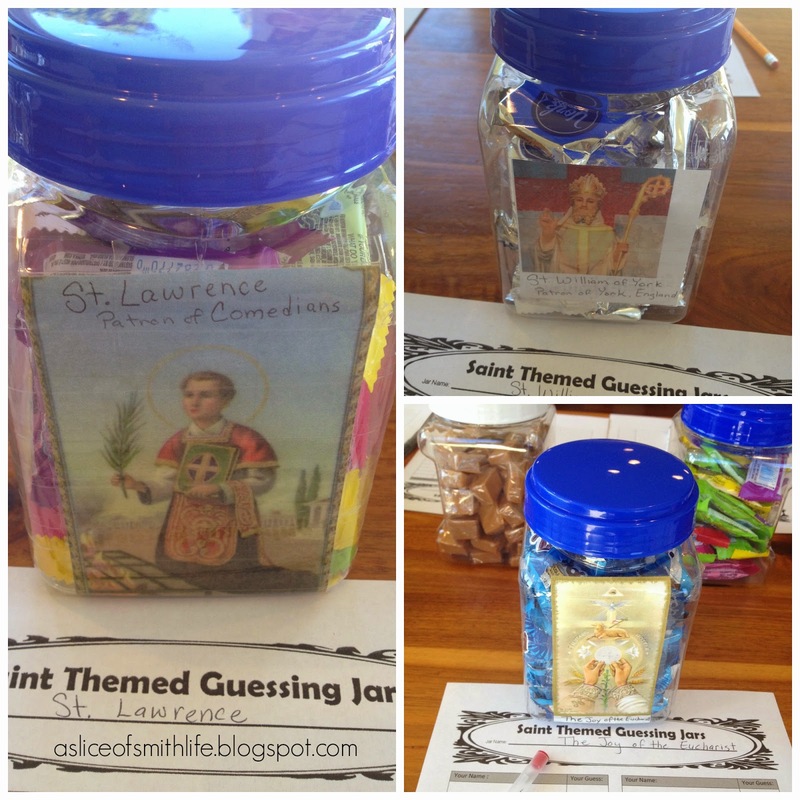 This year several of the Moms made the Saint Themed Guessing Jars first introduced by Jennifer at Catholic Inspired. 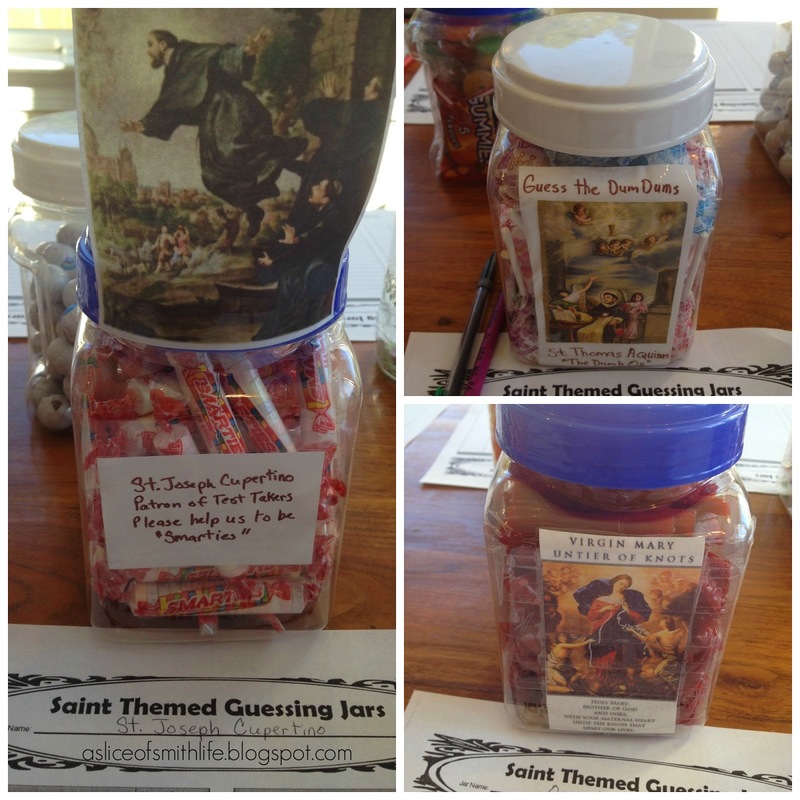 This was our second year doing the guessing jars and they are always a hit. 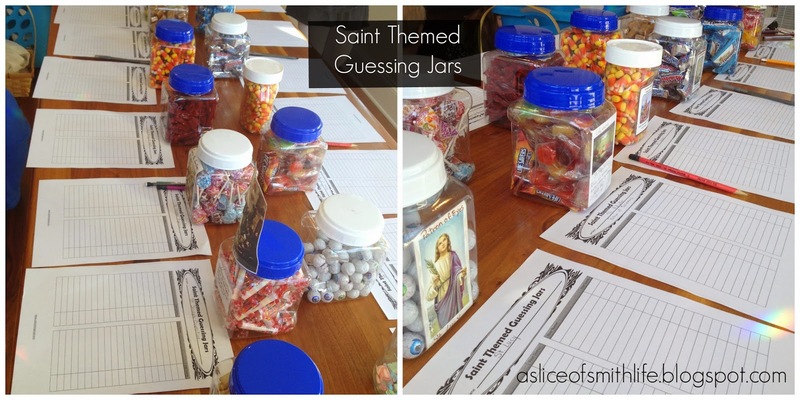 One mom and her children really went to town and thought of some super creative Saint themed jars. I am thankful for all the Saints at our annual All Saints' Day party last week. 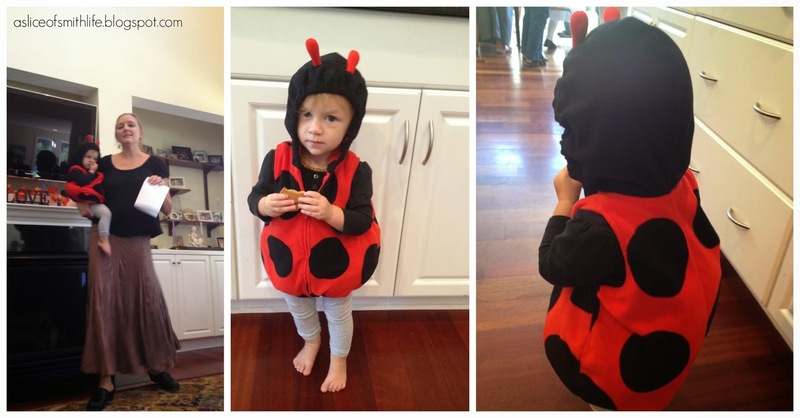 I am thankful for spending time with family and friends on Halloween (All Hallows Eve). 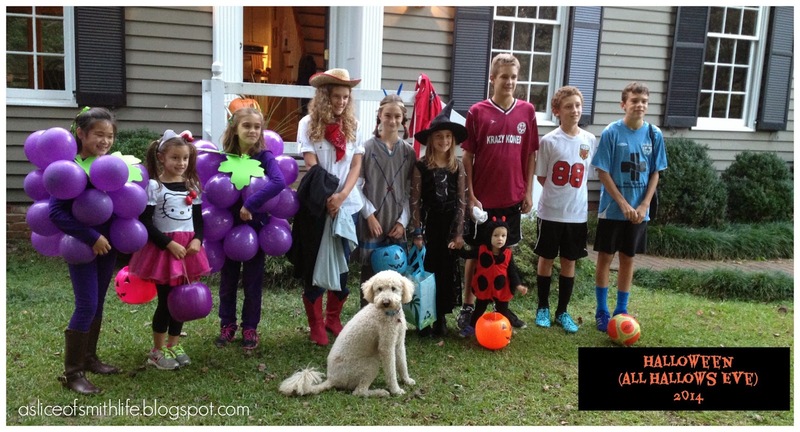 Bunches of grapes ("twofer" from All Saints Day party earlier that day) , Hello Kitty, Cowgirl, Indian, Witch, Ladybug ("twofer" from All Saints Day party earlier that day), Soccer Stars, and a real dog! 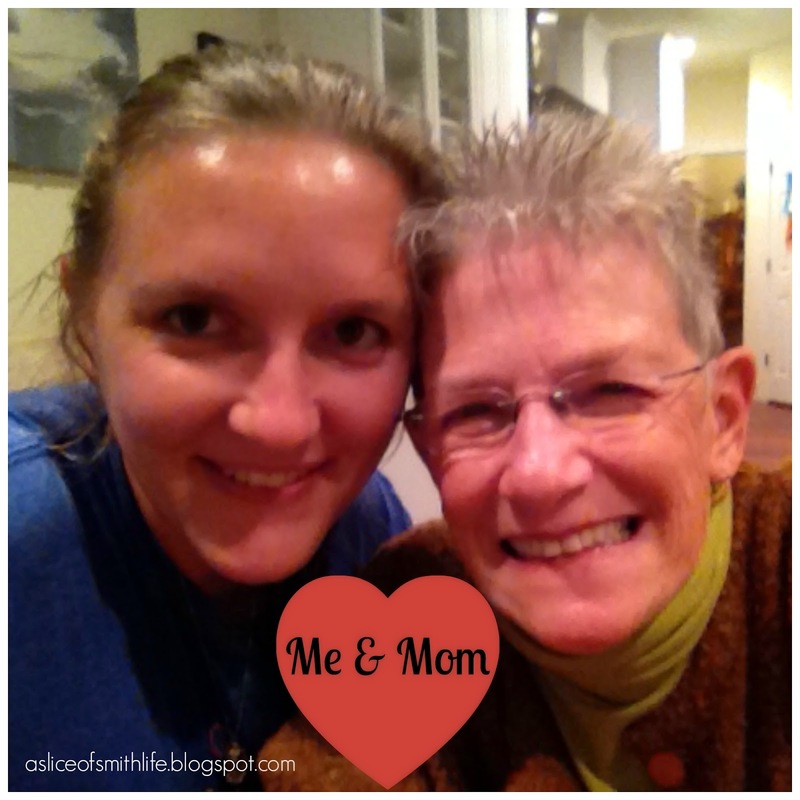 I am thankful for my Mom who celebrated her birthday on November 4th! I cooked dinner for my parents and I bought her her favorite cake, Tiramisu, because I haven't figured out how to make that kind of cake yet! It was a special evening! I am thankful for my parents and 5 Cupcakes who fill this frame and my heart with love, beauty and smiles.